Automobile accidents tend to happen at the most inconvenient times. Knowing how to react after, can help you prevent further injuries, reduce costs and speed up the cleanup and repair process. 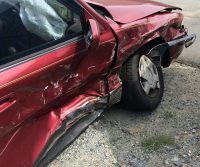 If you find yourself involved in an automotive accident, follow these steps to help you progress quicker. After being in an car accident, it’s very important to move your car off to the side of the road to avoid oncoming traffic. If you cannot move your car, your should evacuate the car and move away from traffic. Exchanging information with all parties who were involved in the accident is extremely important. Be sure to get everyone’s names, addresses, phone numbers, insurance companies, policy numbers, driver’s license numbers and license plate numbers. Many people nowadays have smart phones equipped with cameras. Take photos of the collision and damage of both vehicles to show to your insurance company. After an accident, drivers should file a state vehicle accident report. These are available at local police stations and on the Department of Motor Vehicle’s website. This report will help speed along the claims process by your insurance company. 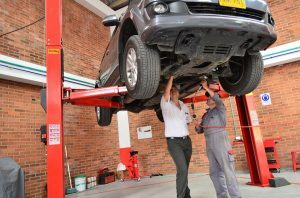 Tips on auto collision repairs, paint dent repairs & more!